Green energy group Good Energy has signed a deal with its hometown football club Chippenham Town to enable it to switch to 100% renewable power. Under the contract, the National League South club – nicknamed The Bluebirds – will have its 3,000-capacity Hardenhuish Park stadium powered for 33 months from sustainable sources. It is the longest such agreement Good Energy has signed. In total Good Energy will provide around 50,000 kilowatt hours (kWh) of clean electricity each year – achieving an estimated carbon dioxide saving of 17,500 kilogrammes and equivalent to a new car driving from London to Beijing 13 times. The firm, which plans to develop a new headquarters in Chippenham near its existing office, has sponsored Chippenham Rugby Club since 2017. The Bluebirds contract is the 15th won by Good Energy in Chippenham – a move it said highlights how local small and medium-sized enterprises care more than ever about reducing their carbon emissions. Along with expanding its business customers in the town, Good Energy has also submitted plans for a new purpose-built, sustainable headquarters near the train station, further deepening its ties to the area. Good Energy sales & commercial director Randall Bowen said: “We’re delighted to kick off the new year with this important win. As a company, we are committed to supporting local businesses as they look to improve their sustainability credentials. 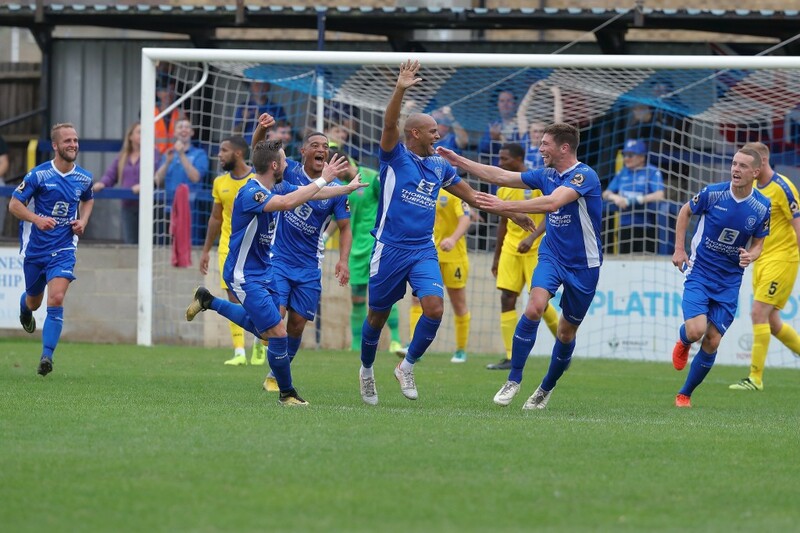 Chippenham Town chairman Neil Blackmore added: “At CTFC, we are committed to the community we represent. That means looking after our environment, and supporting local businesses through using them as suppliers, wherever possible. Good Energy was founded nearly 20 years ago and is now one of the UK’s leading 100% renewable energy providers with more than 70,000 renewable electricity customers and 43,000 carbon neutral gas customers. It owns the Delabole Wind Farm in Cornwall, the UK’s first commercial wind farm, and also owns and operates Hampole Wind Farm, near Doncaster, along with six solar farms. Good Energy sells a ‘green gas’ product which contains 6% biomethane — gas produced in the UK from food waste. To make it completely carbon neutral, emissions from the rest of the gas its customers use is balanced through supporting verified carbon-reduction schemes in Malawi, Vietnam and Nepal.